Golfclub München Eichenried held its first BMW International Open just after the opening in 1989, which was won by David Feherty. This will be the 25th time that the course has held this prestigious tournament and the only European Tour event to be held in Germany this year. It was a difficult US Open for Sergio Garcia 12/1 if you look at his scorecard you will see the holes he suffered on the most were where the crowd was closest to him, and apparently he did take quite a lot of abuse. So I am going to stick with the Spaniard this week, on European soil I think he will feel at home and want to prove that his game is still in good shape. 2006 BMW International Open champion Henrik Stenson 14/1 seems to enjoy this event and especially the Golfclub München Eichenried. The Swede has three other Top 10 finishes here since that time, two of those in the past two years. Henrik also had a good US Open Championship finishing in the Top 25. 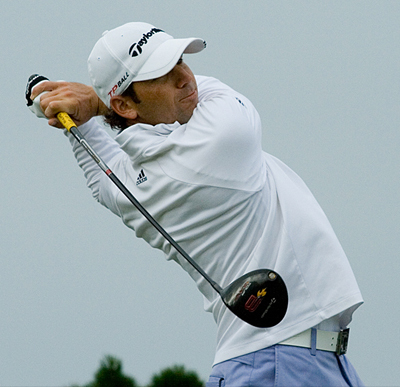 Can Joost Luiten 25/1 make it back-to-back wins on the European Tour after his victory at the Lyoness Open? Well if he was asked to pick a course to make that feat possible Golfclub München Eichenried would be high on that list. The Dutchman had a third place finish here in 2011 and followed that up with another Top 15 place in 2012. Joost will come into this event in confident mood and I think he will be in the thick of it again come Sunday. Ross Fisher 30/1 last outing in Europe saw him grab a Top 10 spot at the Nordea Masters and the Englishman is another player who seems to enjoy the Golfclub München Eichenried. He has not been out of the Top 10 since 2010 when taking the runners-up spot. Ross is still finding his feet on the PGA Tour but I think he enjoys being back on familiar territory, so look for him to be challenging again here this year. Thomas Bjorn 33/1 is another past winner of this event picking up the title in 2002 and since that time Thomas has had another four other Top 25 finishes in this event. 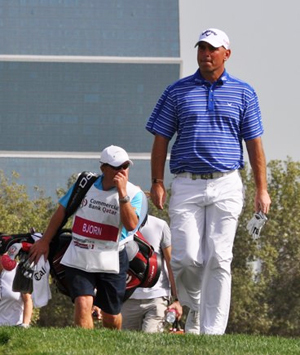 Bjorn also looks like his started to hit a bit of form with two Top 10 finishes from his last three European Tour events. Another player that seems to love the Golfclub München Eichenried is Englishman Mark Foster 100/1, since 2008 Mark has had three Top 20 finishes here where two of those were third place finishes. Foster also seems to be coming into a bit of form with two Top 25 places in his last three European Tour events. Also look out for Maximilan Kieffer 125/1 he started the year well but has gone off the boil, but in front of a home crowd could be worth a pound each way at those odds.